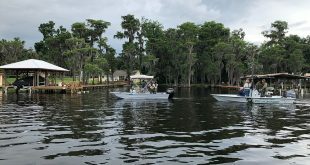 With rising spring temperatures, wildlife officials are warning of increased activity from the American alligator — and they're giving tips for how to avoid conflicts: swimming in designated areas, keeping dogs on leashes, and maintaining a distance when an alligator is spotted. 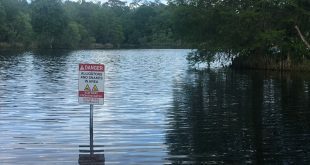 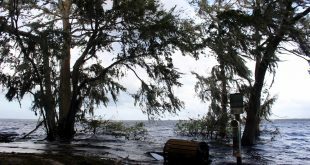 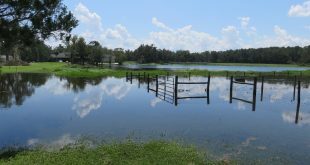 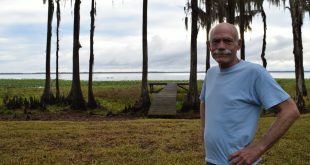 After a 2012 drought, Alachua County's Lochaloosa Lake water levels dropped, and resident Marc Wilson noticed new vegetation taking over the shoreline. 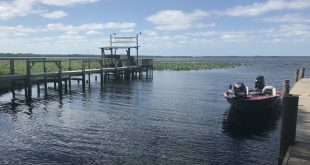 He's now wrestling with the Florida Fish and Wildlife Conservation Commission to get it cleaned up. 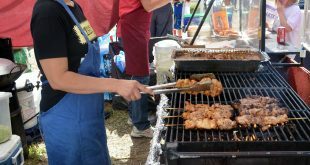 "The snake must be cooked very hard to dissolve the bones some and make sure the organs are fixed."